Specializing in dance, theater, and cosplay. 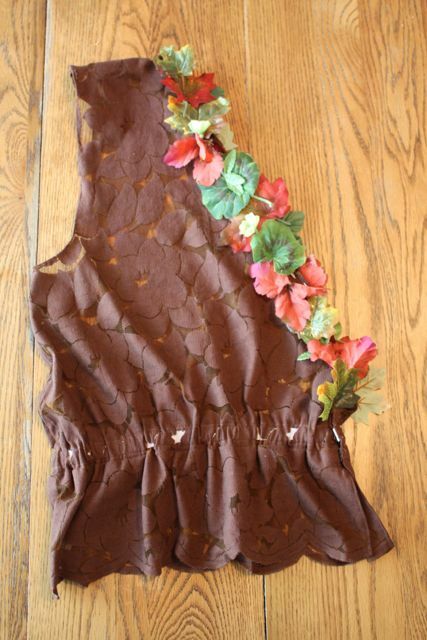 Brown lace-like tunic made for Puck in Salt Lake City Ballet’s performance of A Midsummer Night’s Dream. Elastic waist with hook-and-eye closure. Artificial leaves individually hand-sewn onto cotton fabric strip which was then sewn onto the front and back of tunic. Enter your email address to follow the Costume Mistress and receive notifications of new posts by email.